The Injen SP Short Ram Air Intake for the 2015+ VW GTI MK7 dramatically improves the airflow for maximum performance and power. 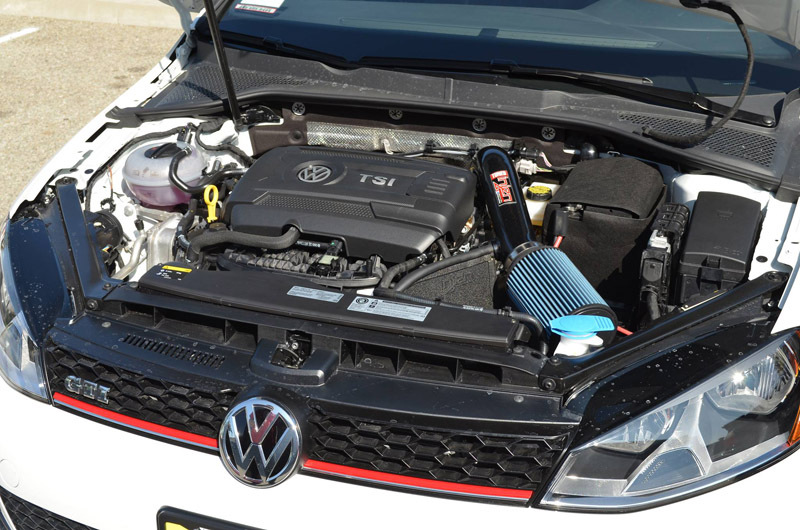 If you are looking to add more power on the 2015+ VW GTI MK7, you need to free up the airflow going to the engine caused by the restrictive factory air intake system. 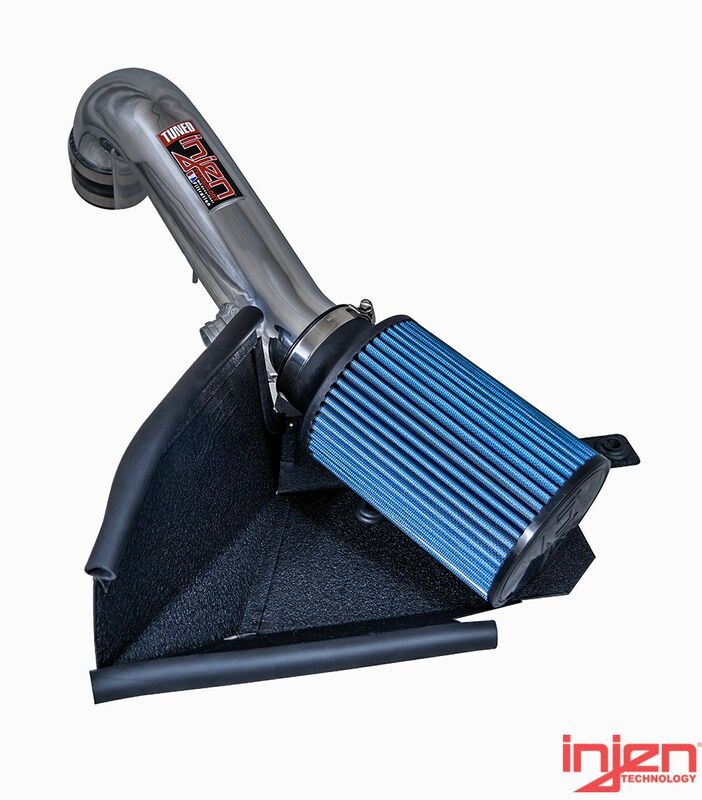 The Injen SP Short Ram Air Intake replaces your factory intake system with a larger diameter, free flowing piping that has minimal bends and a large cone air filters. 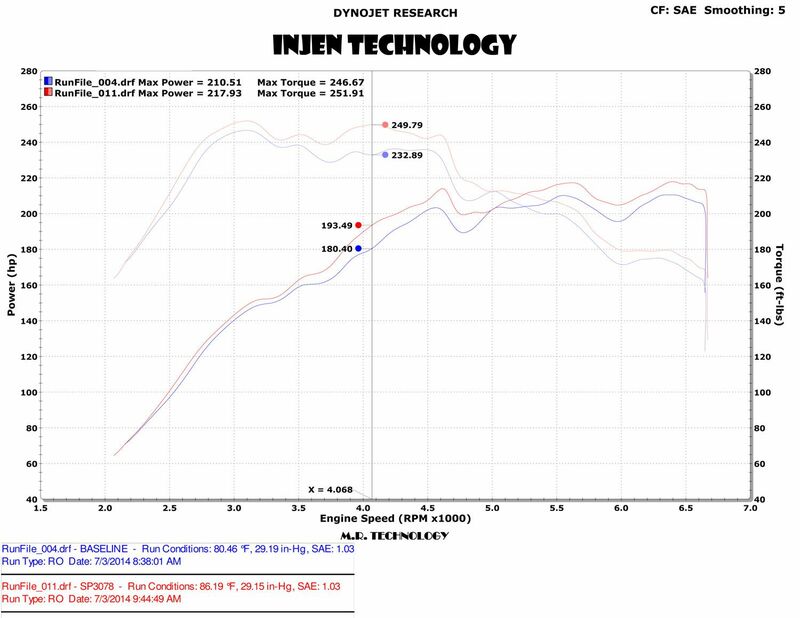 You will see performance gains of 13.1hp and 17lb/ft torque at the wheels on the 2015+ VW GTI MK7 after installing the Injen Short Ram Air Intake. When you're not enjoying the new found power and listening to the roar of the engine during spirited driving sessions, you will also see an improvement in gas mileage since your engine doesn't have to work as hard to make more power. The Injen SP Air Intake is one of the easiest to install performance upgrades that only requires basic hand tools and 30 minutes of your time to install. For extra style under the hood of your 2015+ VW GTI MK7, this Injen Air Intake is available in polished and black finishes. This Short-Ram Type Intake features heat shields specially designed to keep hot air away from the intake. Engineered with a direct fit install in mind, this intake installs using OEM hardware and does not require cutting any hoses or modifying any harnesses to install. As an added benefit, all PCV/Emission Control Lines connect to the Injen Intake as OEM. 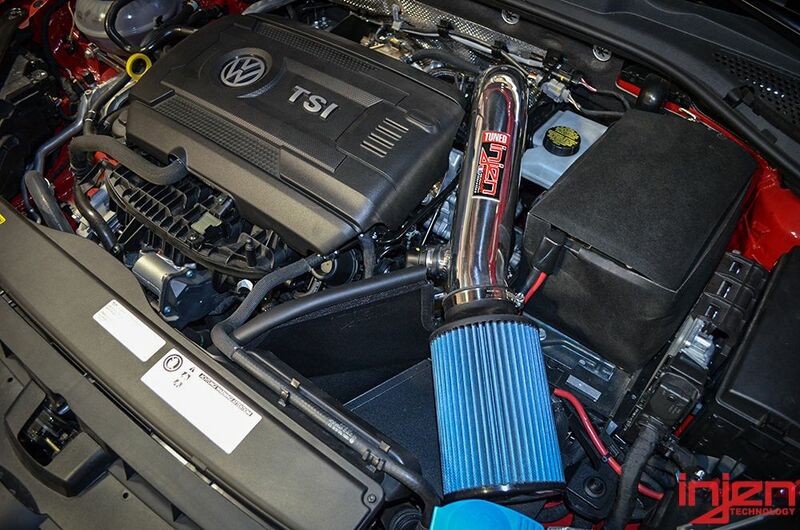 Questions about this Injen SP Short Ram Air Intake for the 2015+ VW GTI MK7? Call 714-582-3330 to speak to a Modification Expert, or schedule installation at our full-service shop in La Habra, CA.